BUY NOW – Study in 2 minutes! This is a combination of our two premium courses. 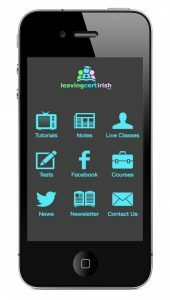 It is the best value option, saving you up to €30 over the standard pricing options. Preview: Click HERE to watch a short sample of the Essential Notes & Tutorials course content. 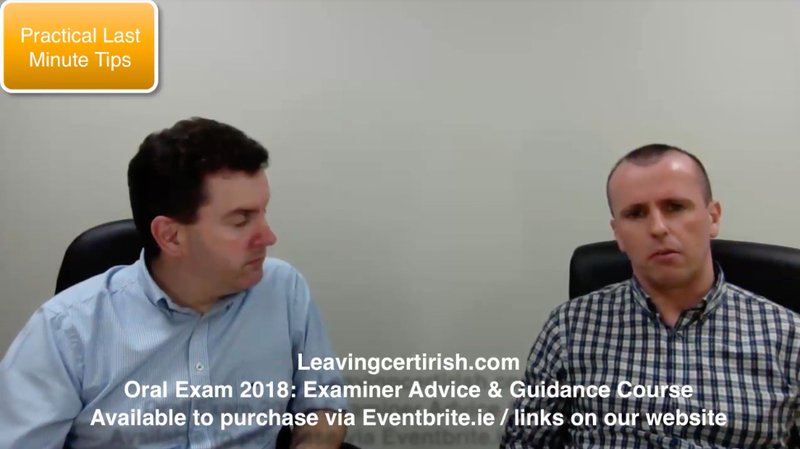 Preview: Click HERE to watch a short sample of the Examiner Advice & Guidance course content. 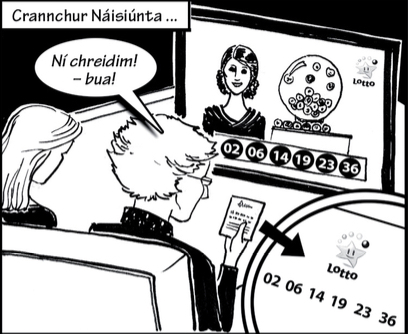 Attendance: Available 24/7 – can be replayed at any time during the dates specified. Course Notes: Two PDF document links [62 pages of detailed notes] are provided. Pricing: €50 per person if purchased before April 15th 2018; €65 per person if purchased after April 15th 2018. These recorded tutorials will run for a period of two weeks from April 9th to 20th inclusive. They can be played at ANY time during that period, on any device. You can also send questions related to the tutorial via specific email addresses. Upon purchase of this course, the course passwords and tutorial links will be delivered to you in your confirmation email. So, you can start studying immediately in just one click! N.B. There are TWO examiners/teachers presenting this section. Seán Ó Gáibhín and Pádraic Mac Giolla Mhuire have a combined 40 years of teaching Irish experience between them. * Please Note that the Sraith Pictiúr summary notes are also provided via a link in your confirmation email.